Home / MOVIE PROMOS / Get a chance to win a PRIVATE SCREENING at SM Mall of Asia's Director's Club Cinema! 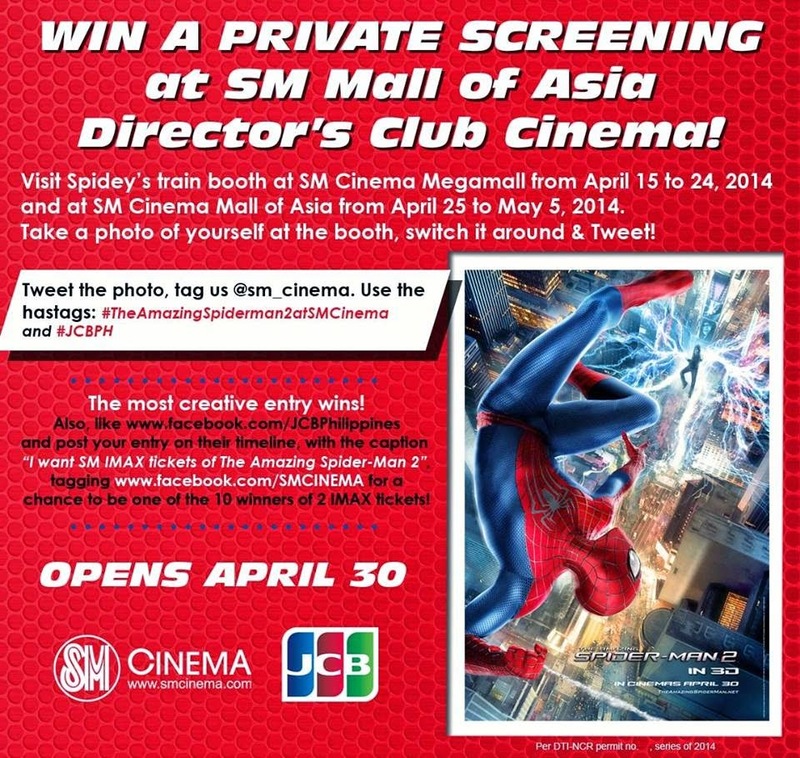 Get a chance to win a PRIVATE SCREENING at SM Mall of Asia's Director's Club Cinema! Visit Spidey's train booth at SM Cinema 6, Megamall, take a photo of yourself at the booth, switch it around & tweet!